The heart rate training program took our cycling performance from weekend warrior to 5 time Cape Epic finishers. The program allows you to focus your training based on heart rate intensity and time spent in target intensity zones. Distance becomes less important as the main objective is to achieve the time targets at the specific heart rate intensities. 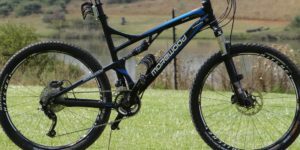 This program was part of our mountain bike training plan for stage races, for all the tips and advice see the Epic Training Guide. Having a basic understanding of heart rate based training will help to understand this training program. 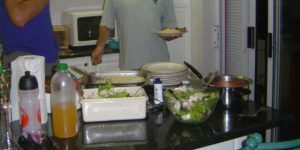 The programs follow a cycle of load – overload – recover. These cycles take place weekly in 3 week blocks. You will also notice that the overall program also follows this pattern with 3 week cycles. It is very important to stick to this cycle, even if your hours are not on target, stick to the trend. This load – overload – recover is a scientifically proven process of strengthening your body and building strength. Hard weeks must be hard and easy weeks must be easy. Do not try to use short weeks to make up for lost time as you will risk fatigue and going backwards. The training programs are either 12 week or 16 weeks in duration. The number of hours is up to you and you choose the number of hours that you would like to do in the biggest week. The spreadsheet then works out the splits per week. And you will see a progressive build up to the peak week and then a taper down to the event. How many hours should you do is the big question. Our answer is, as many as your schedule allows and as many as your current state of fitness allows. Somewhere between 10-15 hours per week should be adequate. Ideally start training 29 weeks before the event by doing a 16 week program followed by the 12 week program. First establish your heart basics, age, resting HR, HR Max and the endurance, aerobic (stamina) and anaerobic (lactate) zones. There are several formulas and methods available to determine this. The training programs available from Polar have calculators that will assist in obtaining these values. Using your resting heart rate and HR max you will be able to calculate your exercise zones. This shows the training weeks, hours per week total accumulated time, timing for big rides and a graphical display. You can change the hours per week in the instructions sheet and the heart rate values in the target zone calculator sheet. The end point should be a multiday ride like an organised training camp in December. The training camp should consist of 3-4 days of riding in a row with absolute minimum distances of 80km per day, preferably 100km+ per day. The second program is a 12 week 15 hour program from January right up to the race date in March. During this program you will also need a training camp in the biggest week of the program or a simulation race like Tankwa Trek. This will help to make the hours of this big week and be a good test run of equipment. First objective is to complete all the hours as per the program with the HR intensities. Second objective is to follow the trend of the program, load – overload – recover. Third objective is to train within the given training zones by week. If you can do all of this and follow the entire program to the T you will be doing very well. 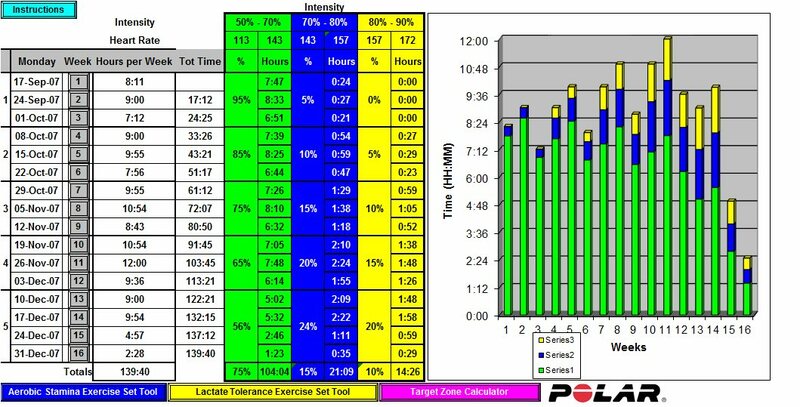 Using one of the cycling Polar heart rate monitors with the Polar Flow software makes it easy to keep track of training progress. The software together with the training program mean that you have a virtual training coach at your finger tips. These reports can be customised with many different variables depending on what you would like to measure. Sharing these reports, quickly highlights areas of concern and gives an opportunity to discuss and find out if something should be done. It also serves as a motivator and a reminder of what needs to be done to achieve the training time targets. You should share these reports weekly between each other. A good measure of your progress is to find a route to simulate as closely as possible the toughest day on The Cape Epic. Something like 120-140km with at least 2000m of climbing. A good strategy would be to do this route about 3 times before going to the Epic. It will allow you to mentally deal with such a tough days riding, be a good measure of overall fitness, preparation and ability to recover. Schedule training camps for December after 16 week program 1 and then end of February during biggest week of 12 week program 2. 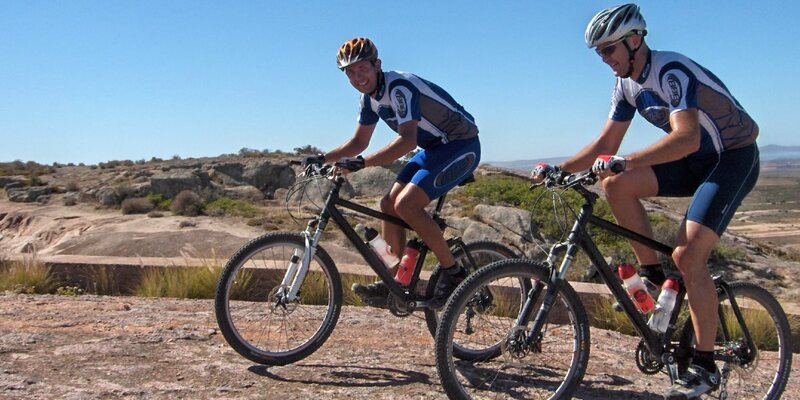 Training camps are an essential ingredient in preparing for the Cape Epic. Whether you attend an organised camp or schedule your own, it is a must. Everyone does them, so no matter where you fit into the field you will benefit from attending such a training camp. One of the best ways to get the training hours in and to get your mind right, is back to back riding days that simulate stages at the Cape Epic. These multiple days are ideal to test riding strategies for food, drinks, riding with your partner and bike and equipment setup. It is also an opportunity to meet other riders doing the epic as well as some who have done it before. See how we followed these programs and improved our performance in 2005. This training is quite different from that required for The Cape Epic. Training for 1 day races requires a fair amount of anaerobic stamina (70-80% of max HR) and lactate training (80-90% of max HR), approximately 15% and 10% respectively of total training time. This conditions the body to sustain extended periods (3-4 hours) of high activity with a heart rate around 80% of max. Training for an ultra endurance event requires virtually no stamina or lactate training, with all the training time being spent in aerobic endurance (50-70% of max HR). This is basically base training that consists of long rides at low intensity to build up endurance to cope with 8 days of riding in a row. Training rides can be 2hr rides during the week and then 4-5 hour rides on the weekends, with the occasional really long ride of around 7 hours. In The Cape Epic the goal will be to keep heart rates below 70% of maximum so that fatigue is minimised and the production of lactic acid is avoided. This also applies to hills, so it is something that needs to be trained for so that you develop the ability to ride at lower heart rates. Ultra endurance also requires mental toughness and ability to deal with difficult circumstances. Long slow distance rides especially a Cape Epic simulation day can help with preparing for this challenge. Disruptions are a fact of life unfortunately. Try not to miss big weeks if possible, because they are important not only for total hours but also for time in the saddle. Organising some long training rides can help to boost hours lost in other weeks. If you miss chunks of hours then sometimes you just have to leave it and not catch up. Only catch up if you can do so comfortably without affecting the flow of the program too much. Remember that you only get stronger when you rest, so sacrificing rest for training is not a good idea. Why so little high intensity training? This question is asked by just about everyone. We don’t claim to be and aren’t training gurus at all! The training regime that we are following has worked for us time and time again and that is the main reason that we follow it. In our first event we had an unbelievably easy and successful race considering we had never done a multi day event before. The low threshold riding originally comes from the guys at Polar. The general thinking seems to be that the biggest challenge in doing the Epic is finishing the race i.e. having enough energy to get to the end. It is a war of attrition, rather than a power struggle. This is true for the majority of the field I would say. However if you are up front and in contention for positions then it may be a little bit different, but not a hell of a lot different. We were a bit sceptical first time round, but the proof was in the pudding. The low intensity training allowed us to increase our average speed while decreasing our average heart rate, and effectively raising our lactic thresholds. To survive the Epic you have to manage your heart rate, so the faster you can ride without elevating your heart rate the better off you will be. Also you have to be able to climb for several kilometres at a reasonable speed without getting above you lactic threshold. Sprinting and bursts of speed are secondary to sustained effort and a good average speed. High intensity training builds strength and makes you faster and stronger over shorter distances. But low intensity gives you endurance and staying power. Compare for example a sprinter vs a marathon runner. You can imagine that their training is very different. The sprinter will have short high intensity sessions essentially, whereas the marathon runner will be doing time and distance at lower intensities. The only need we could see for speed would be to bridge bunches or to stick with the surge of a bunch on the faster days, but this can be dangerous because you end up going faster than you can manage and will pay for it later. If you are a pro on the other hand you have to worry about a sprint finish, break a ways etc, so some speed work and power is required. Leave your questions and share your experiences and advice for others to see in the comments below.